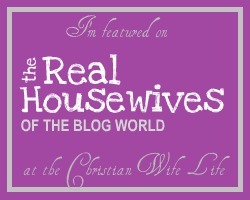 The Christian Wife Life: The Real Housewives of the Blog World: Lauren! It's time for Episode 2 of The Real Housewives of the Blog World! I'm honored to have this beautiful girl with us and hope that you'll learn from her sweet words. 1. 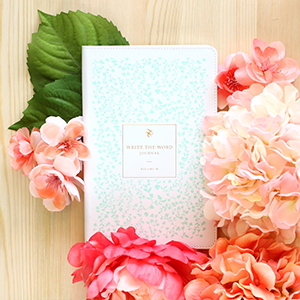 Introduce us to yourself and your lovely blog! I'm a fun-loving newlywed, full of big dreams! I'm an aspiring wedding/event planner. But for now I'm a nanny. My husband has my entire heart. My family is my support. I live each day as if it were my last. October 27th marks our 2 month anniversary! 4. Do you have a favorite Bible verse or passage pertaining to to marriage or being a wife, or one that has been a consistent encouragement through your marriage? "In the same way, their wives are to be women worthy of respect, not malicious talkers but temperate and trustworthy in everything." "A worthy wife is her husband's joy and crown; a shameful wife saps his strength." 5. 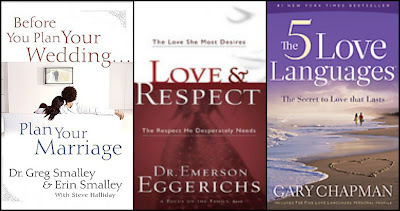 Do you have a favorite book about marriage, being a wife, or being a godly woman that you could suggest for us? Now, please tell us three things you've learned about marriage or married life! your husband longs for your respect more than he longs for your love and affection. 2. Your husband loves you more once you're his "wife." This is really hard for me to explain but it's just something I've noticed in our relationship. His love for me has grown since we've been married. 3. Marriage is the best thing you'll ever experience! Your spouse at times knows you better than you know yourself. "If perfect's what you're searching for then just stay the same." don't kill yourself trying to be the "perfect wife" for your husband. 1. The "perfect wife" doesn't exist. 2. He loves you just the way you are! Ashley, thank you SO much for having me! I enjoyed posting for you so much! I think it's amazing how much you can learn in just two months of marriage. I know I learned a whole lot in just two weeks! Haha. And I've never stopped learning. Those verses she shared are not only inspiring, but they're CONVICTING! There are many times when I don't have a gentle and quiet spirit. And I absolutely want to be my husband's joy and crown. These are excellent verses for me to meditate on this week! I'm so glad she shared them. I also appreciate her words about not trying to be perfect. I do that...a lot. And I can get so down because of it, even when Jordan is telling me that it's just fine that we have to eat lettuce-less tacos because I forgot to buy it. Or something little like that, that I think RUINED the meal or the day or whatever. He doesn't expect me to be perfect. Also it's quite impossible. PS - Go enter my bird giveaway so I'm not tempted to keep that cute stuff. I also like the book "Love & Respect". I did the workbook it came along with it. And Ashley, I'm SO glad I found your blog!! You and your hubs are SO cute! I love this blogger real housewives edition! Definetly more realistic, great thinking ashley! I'm so excited I found this blog! I love this I am not yet married but have been with my boyfriend for almost 6 years and sometimes it feels as though we are married. It is so nice to hear about other peoples marriages and the way to deal with situations, and how their love for God gets them through everything. How fun! Such a great idea...I just love Lauren... I also follow her blog!!! Proverbs 12:4 always gets me. Would my husband consider me his crown? Man...that is so convicting! This is SUCH a cute link name!! Love it! !